The area was away from the hustle and bustle but still close enough to get out and about if needed. Apartments were comfortable and well laid out. Spa was pleasant and staff happy. 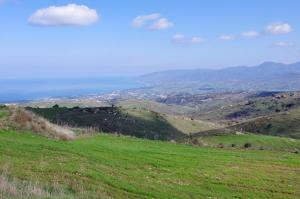 Excellent location in the Akamas mountain region if you like this sort of landscape. Very clean air - good for your health. Excellent dining area & good food. 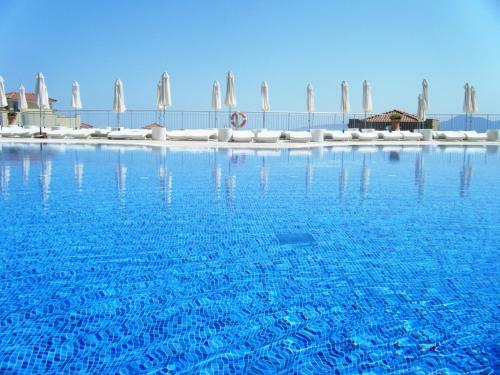 Main swimming pool (shown in photo) was amazing. Did not use the indoor pool or gym (we went touring & only stayed there 3 days so did not have time to use all the facilities. Very clean rooms & bathroom with good water pressure. Many hotels we stayed in Paphos the water pressure was weak. Good quality furniture in the room. The breakfast was delicious especially the Haloumi and Anari cheeses. The view from the room 826 was spectacular. It was a double Storey apartment enough for 6 people. Lots of space. The staff was also very helpful and recommended a traditional Greek restaurant in Polis , Moustakalis.i likedbthat thwre was a shower upstairs as well as downstairs. Decent pool. I have been to your property several times during the last 4 years. I have always been so satisfied with it. The Location, Service, Apartments, cleanliness, Food, Pool... all was perfect. The swimming pool is great and contains a Jacuzzi. Our room was a duplex, which was an amazing surprise. There was a sauna in our room. Breakfast is really good. 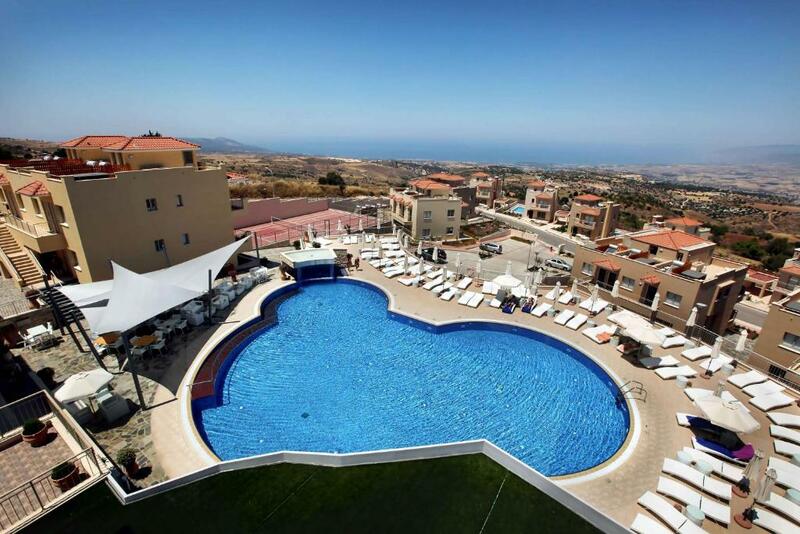 Lock in a great price for Akamas Health Farm & Spa - rated 8.2 by recent guests. Opening to a balcony, all air-conditioned units come with a flat-screen TV and DVD player. Some are equipped with a kitchen or kitchenette, or a private sauna. Akamas Health Farm & Spa offers weight management and body-shaping treatments, and features a fully equipped gym. The tennis and beach volleyball courts will help you stay fit. 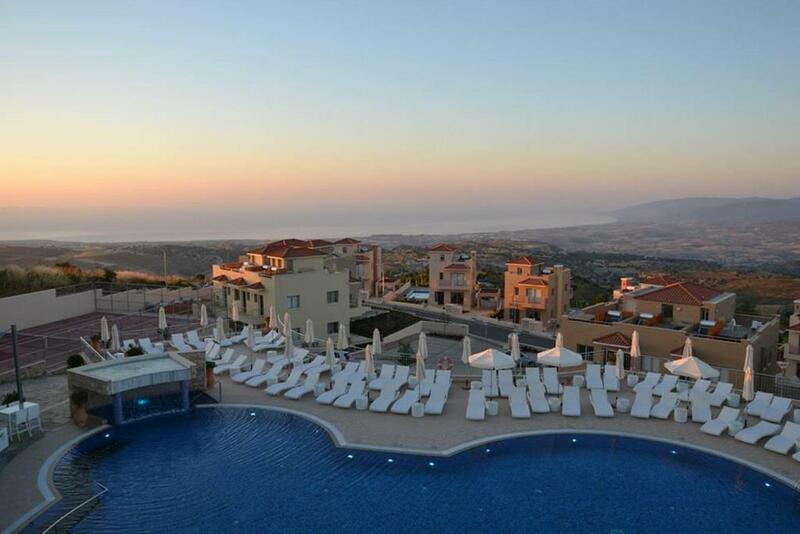 Panorama a la carte restaurant serves light and nutritious meals and herbal beverages and enjoys panoramic views of Akamas and Chrysochous Bay. The area is ideal for outdoor activities, such as sailing, biking, fishing, scuba diving and hiking. The property offers free private parking. Akamas Health Farm is 16.8 miles from Paphos Town and 6.2 miles from Polis. 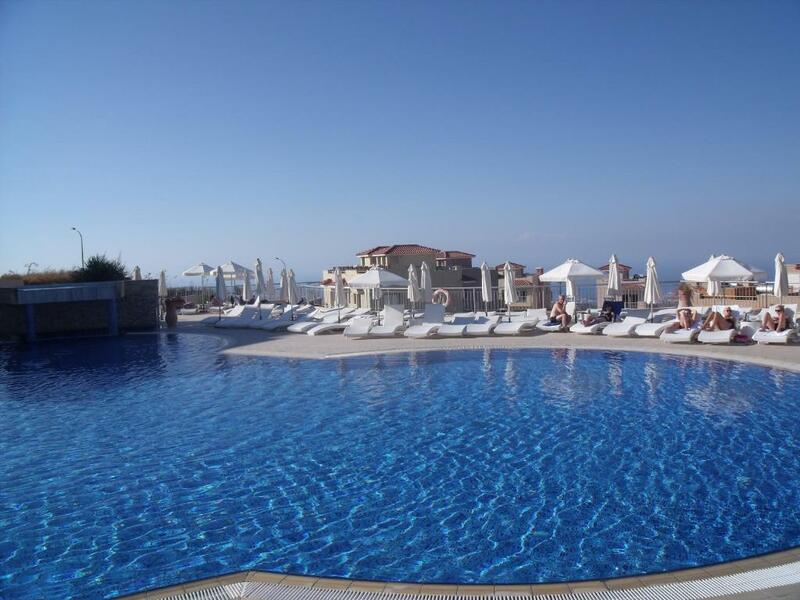 Akamas Health Farm & Spa has been welcoming Booking.com guests since 6 May 2011. 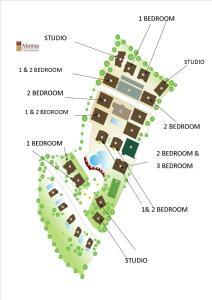 When would you like to stay at Akamas Health Farm & Spa? Modernly designed studio with views over the sea or the mountains. It includes an open-plan kitchen with living room. Please note that some air conditioning units operate with electric timers. 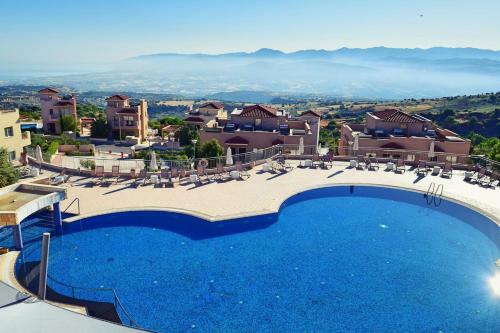 Sea and mountain views and modern design are features of this fully furnished one-bedroom apartment. This bright, spacious two-bedroom apartment has a terrace with sea view and can accommodate a family of 4. This apartment features a balcony, seating area and dining area. This apartment features a separate bedroom and a living room with a kitchen. It offers a balcony with views to the mountains and the sea. The special offer includes 1 free 30 mintes spa treatment per person per day from the Special Spa List. This twin/double room features a balcony, dining area and oven. 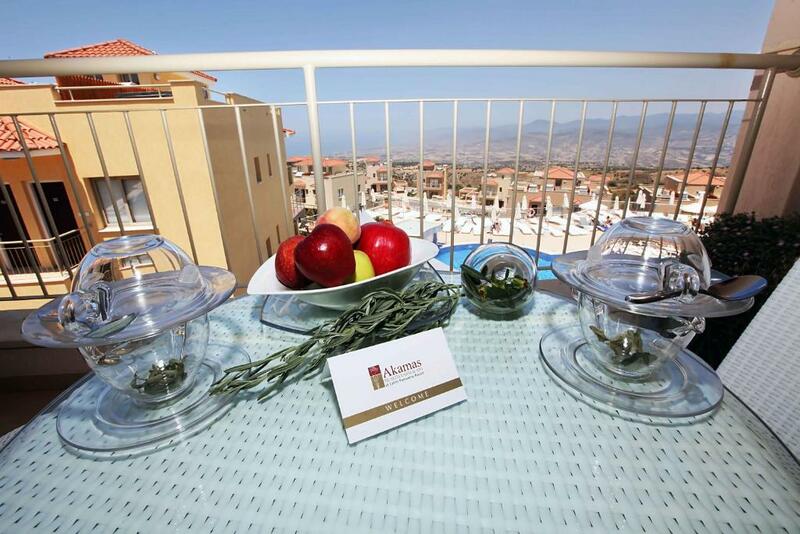 WELCOME TO THE AKAMAS HEALTH FARM & SPA! Breathtaking Views , comfort and relaxation at its finest. In a beautiful location just outside the village Drouseia, and just seven minutes from Latchi, and the Akamas area with uninterrupted views of the blue waters of the sea, from Pomos to the Baths of Aphrodite, you are invited to experience the most comfortable apartments some with private sauna or Jacuzzi on the Roof Top. 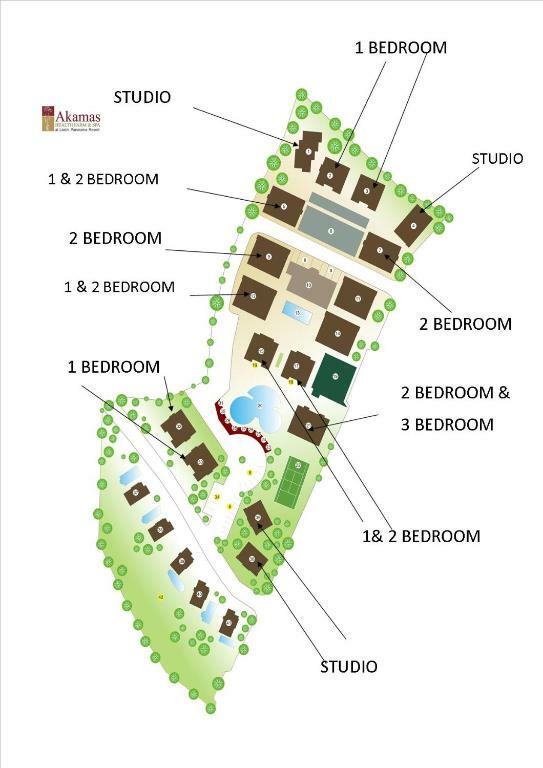 House rules Akamas Health Farm & Spa takes special requests - add in the next step! Akamas Health Farm &amp; Spa accepts these cards and reserves the right to temporarily hold an amount prior to arrival. Akamas Health Farm & Spa accepts these cards and reserves the right to temporarily hold an amount prior to arrival. The property will pre-authorize the credit card 14 days prior to arrival. Please note that from 22 March - 31 May the reception operates from 08:00 - 16:00. Kindly note that the spa operates on request only, pre-booking of at least 24 hours in advance is required. We arrived at 8 o'clock at night but there was no sign where our apartment was and we had difficulty to find it,reception was closed and no mobile phone to ring somebody. slightly unfair becos out of season and most facilities were closed and the whole place needed a spring clean..but grey concrete towers really unwelcoming. I guess in the height of summer this won't be such an issue. The wifi did not extend beyond the bar area with a good enough signal, no wifi in rooms. The indoor pool area we were told there was not one and had not had one all season! The pool was there but covered over. There was no steam room or sauna available unless the beautician did not have any clients! Nice view and comfortable flats. We ordered from the bar beers and they gave us 2 small balls of nuts...then we had another round of beers and when we asked for nuts they said they didn't have more. In our room the first day we had hot water for shower and our friends didn't have...the next day we didn't have hot water in the shower and our friends had. WiFi in the room was very weak so had to go to the lobby area to get a good signal. Need a car to get to the main Paphos centre as there is no bus service there. But we always rent a car so this is not a problem.